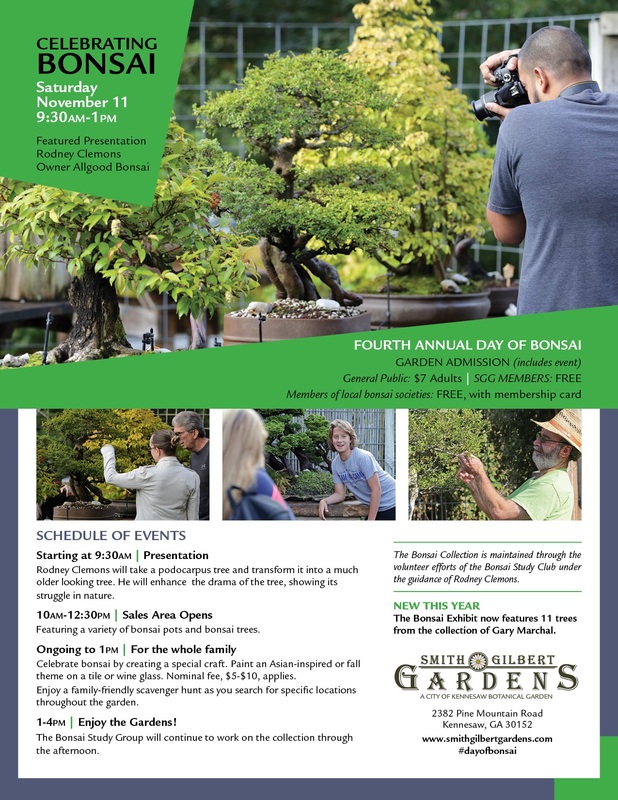 Smith-Gilbert Gardens will host its 4th Annual Day of Bonsai on Saturday, November 11th from 9AM-2PM. 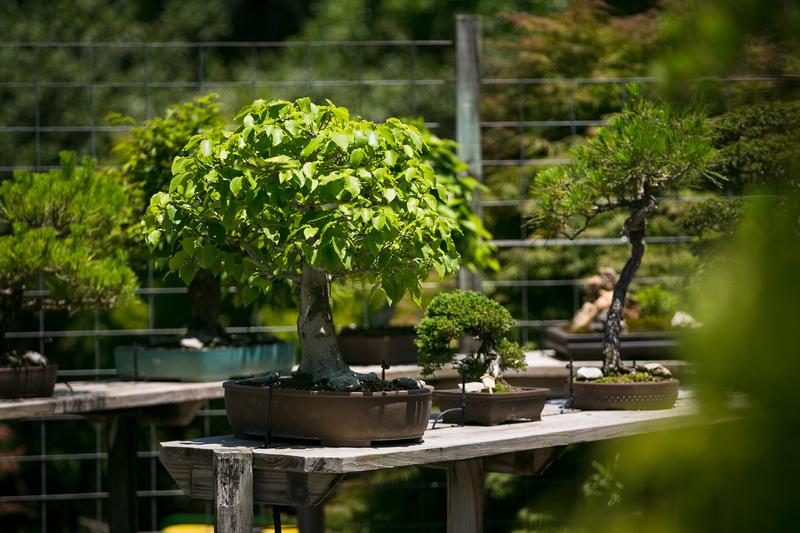 Garden staff and Bonsai Study Group volunteers will showcase an impressive collection of bonsai, among the top 25 in the country! 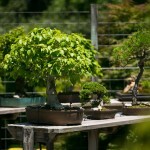 The event features demonstrations by renowned bonsai expert Rodney Clemons. “Bonsai is a timeless art that appeals to all ages. Watching our bonsai curator, Rodney Clemons, take an ordinary tree and transform it into a tree that captures the imagination is a remarkable process!” stated Ann Parsons, Executive Director at Smith-Gilbert Gardens. “Plus, we’ve added some new activities to the Day of Bonsai this year and we will be unveiling our new bonsai educational exhibit,” she continued. Japanese inspired arts and crafts projects for the whole family will be featured (small fee; cash only). Select bonsai will be auctioned as a fundraiser. Guests will also enjoy perusing a selection of trees, pots, tools, books and more for purchase. Admission is $7 for adults, $6 for seniors and military, $5 for children ages 6 – 12; children 5 and under are free with parent or grandparent. Garden members are admitted for free.